It’s been a good yet equally bad week. I have to admit that another 70+ miles of Leicestershire mud takes its mental toll. Whilst trudging the slippery paths and bridleways, dodging herds of surprisingly excitable and overly curious cattle, the mind wanders off at peculiar tangents. It is a sobering thought that I now find myself chatting to my mate Trig as I would an old friend, even though he is a waist-high concrete obelisk overlooking the Vale of Belvoir with a sad subsided disposition. 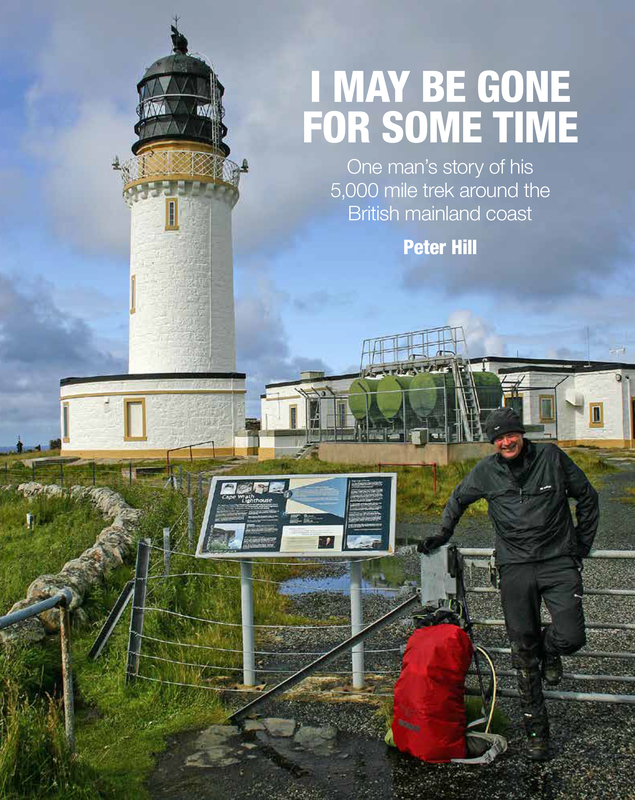 I suspect that those pointy headed chaps at Ordnance Survey who once lovingly pitched Trig at a remote beauty spot weren’t interested in a long-term relationship. As Trig’s new best pal I can vouch for his lack of personality, even if I won’t hear a bad word said about him. Undoubtedly I will have to endure days when strange or negative thoughts dominate and will need to make sure that they don’t exaggerate a minor injury, find me an excuse to quit or just plain ole rot my brain. Hmmmm……think think…….HANG ON……. It was trudging these sodden paths with the dogs that gave me this crazy coastal idea in the first place. Oooeerrr….. this walking lark is dangerous. Lesson 1: Don’t let your partner do all the dog walking unless you want them to develop a wanderlust. On the good side – I have two very fit dogs! Though Bracken, the girl dog, was sadly diagnosed with cataracts on Thursday, which does explain her walking into the occasional lamp-post and the odd fallen tree. Funny though it sounds, I think Kate and I are relieved to have a diagnosis that might explain Bracken’s neuroticism. I just wish she had actually bitten the guy who fancies himself as the local Dog Whisperer and who offered to “whip” her submissive aggression into shape for us. She’s the biggest insecure softie you will ever meet really. Also on the good side – I have my first sponsor! Profuse thanks go to Viewranger for providing me with the digital OS 1:25k maps I need. I am genuinely impressed with their product and I could bore you for weeks with a spreadsheet of the stats it produces. But as a quick example, I have now ascended over 38,000 ft in the last 8 weeks. I never even vaguely considered climbing Everest before – maybe it’s not too late ………mind wanders………..
And yet more on the good side – I made Kate smile by dispensing with the 15-year-old wire and plastic Christmas tree and spending ….”How much?”…. on a real one. I’m sure the pine needles and tinsel threads will find their way into my boots to taunt me painfully within days. On a final begging note for today. This isn’t a pipe dream anymore….It’s going to happen. In truth it’s got to happen. If it doesn’t, Kate will undoubtedly kick me in to touch rather than live with a bloke who regrets not taking his one chance in life. It’ll only fail to get off the mark in its current guise if I don’t get enough motorhome support drivers and I need a few more confirmed drivers to get going. So if anyone, and I mean ANYONE, can spare some time for a couple of great causes and fancies a week in a motorhome with me ….please, please, please…. book yourself in before Christmas. I really cannot go to the effort and expense of acquiring a motorhome in January if I don’t have enough drivers.